She was genuinely surprised that we basically have no interest in television. As I was leaving Sam’s Club, I remembered a song lyric: “we are a peculiar people.” A little research revealed the song to have been sung by Mutemath. More interesting to me, however, was discovering the likely source of their inspiration: the King James Version of 1 Peter 2:9. 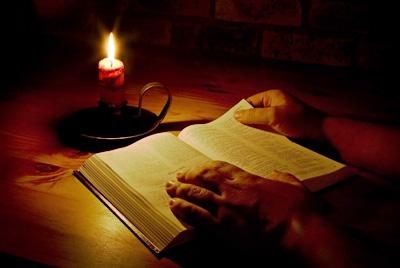 Most Christians are probably familiar with this verse: “But you are a chosen race, a royal priesthood, a holy nation, a people for his own possession, that you may proclaim the excellencies of him who called you out of the darkness into his marvelous light.” The KJV, however, is the only translation of which I know that says “a holy nation, a peculiar people” to describe us. Perhaps it’s a shame other translations don’t; I think, especially now, we need to be reminded God wants us to be peculiar, as that’s the only way we can really get peoples’ attention to point them toward Jesus. If we want to see what this looks like, we need to go back to the beginning and revisit Noah. First, there is no Biblical indication of which I know that suggests he lived separately from everyone else. He and we both live among those who are destined to taste God’s coming wrath. Second, Noah would have looked quite strange building an ark in a land with no history of rain. I can imagine how frequently the people mocked him. But his unusual lifestyle served to prophecy about the coming wrath, just as we are called to live an unusual lifestyle that prophecies about God’s coming judgment on this world. Israel was also called to be peculiar, but they failed more often than not—thus prompting God to promise them the New Covenant. Once this covenant was enacted, and Jew and Gentile alike were born again, we see God’s people learning to be peculiar. The Corinthians, for instance, were commanded to avoid idol feasts—no small feat considering the trade guilds had patron deities to whom they sacrificed for success. Additionally, Paul brags in 1 Thessalonians 1:6-10 about how the Thessalonians’ faith had gained much fame, becoming well known not only in their own province of Macedonia, but in far-away Acacia as well. What would it take for our faith to be so famous? I think the answer to this question is found in 2 Timothy 2:4, where Paul tells Timothy “no soldier gets involved in civilian affairs because he wants to please his commanding officer.” I think Christians are called to regard ourselves as soldiers, but I’m not sure we really do this. I know didn’t–until recently. Our problem is our culture; we’ve grown up in a culture in which entertainment is considered a normal part of life—be it sports, television, movies, music, books, travel, eating out, etc. And now, thanks to technological advancements, we also have streaming entertainment. In fact, we’ve actually reached a time when “bingeing” doesn’t just refer to drinking, but can actually refer to TV! Because we view these things as normal, we try to balance enjoying them with being faithful to God. This is precisely how Aimee and I lived until just recently. -Ephesians 5:16, which tells us to make the best use of the time because the days are evil. -2 Peter 1:5-15 gives a host of qualities that we are to “make every effort” to add to our faith. -Colossians 4:2 tells us to devote ourselves to prayer. -Colossians 3:16 tells us to let the word of Christ dwell in us richly. -Deuteronomy 11 tells us that God and his word should be our primary topic of conversation. Until this moment, I had considered myself and my wife to be good, faithful Christians. This experience led us both to reconsider: we both were faithful in church, giving, etc. But were we faithful in stewarding our home life? These Scriptures forced us to admit God was probably telling us we weren’t—but was also graciously giving us an opportunity to repent. And here’s the thing: when we consider the Bible’s promises, we really shouldn’t care that much about our culture’s cherished entertainments anyhow. 2 Corinthians 3:17-18 promises us that as we contemplate God’s glory, we’ll be transformed into his likeness by the Spirit with ever increasing glory. Becoming like Jesus—what could be better? If we have this promise, why do we want to waste hours upon hours on our usual recreational pursuits when we could instead be drawing near to God?